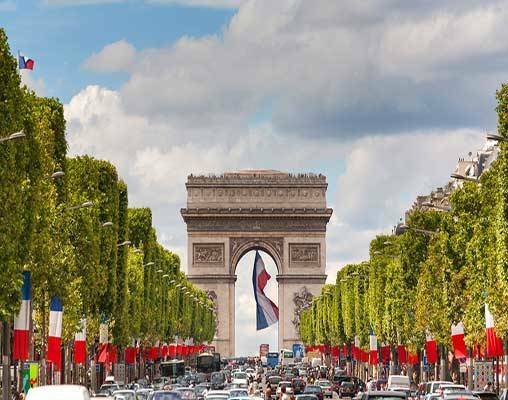 Discover the history and culture of three of Western Europe's most popular cities and the excitement of high-speed rail as you connect London, Paris and Amsterdam with travel aboard the famed Eurostar and Thalys trains. 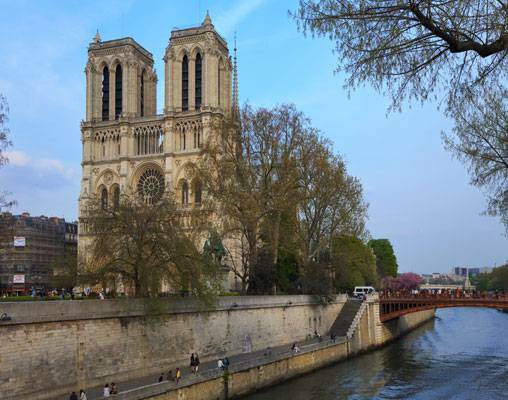 Along the way, experience famous sights and attractions including Westminster Abbey and Big Ben in London, Notre Dame and the Eiffel Tower in Paris, and canals and museums in Amsterdam. Arrive in London and use your Oyster Card to transfer via the Tube from the airport to your hotel. The London Oyster Card is an electronic smartcard pre-loaded with 20 GBP and valid for travel aboard the London Underground, buses and various rail lines in Zones 1-9. Overnight London Lodge Hotel or similar. This morning embark on a half-day sightseeing tour of the city. First, board a vintage double-decker bus to see all of London's popular sights and attractions including Westminster Abbey, Big Ben and the Houses of Parliament. 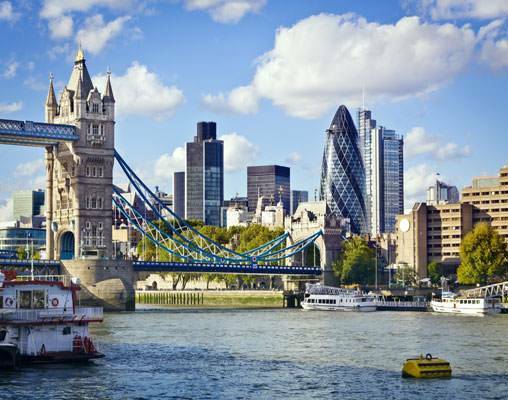 After touring London's streets, set off on its waterways with a cruise down the Thames River. From this vantage point, you'll see Shakespeare's Globe Theatre, Cleopatra's Needle and the London Bridge. Returning to the pier, board the bus again for the trip to Buckingham Palace to see the changing of the guard. (On the occasion the guards do not change, your sightseeing tour will stop at the Horse Guards Palace or the Inspection of the Queen's Household Cavalry.) The remainder of the day is yours to explore this fascinating city on your own. Overnight London Lodge Hotel or similar. The day is yours to revisit attractions from yesterday's tour or set off on your own. 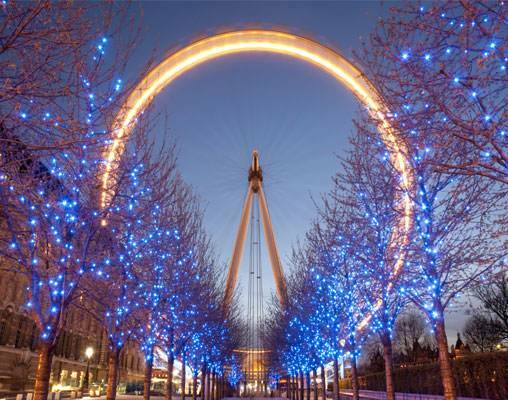 You may wish to visit one of the city's many museums, see the sights from the London Eye, or take in a show at one of the West End's famous theatres. Overnight London Lodge Hotel or similar. 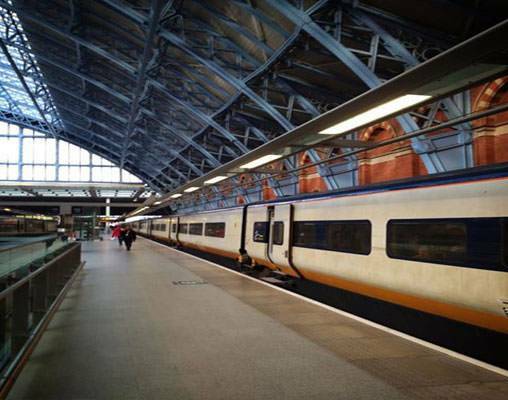 Transfer from your hotel to the rail station and board the sleek Eurostar train for the journey under the English Channel to Paris. Upon arrival, transfer to your hotel with the remainder of the day at leisure to explore the city using your Paris Visite Pass to get you from one destination to another on the city's Metro. Overnight Lodge du Centre or similar. 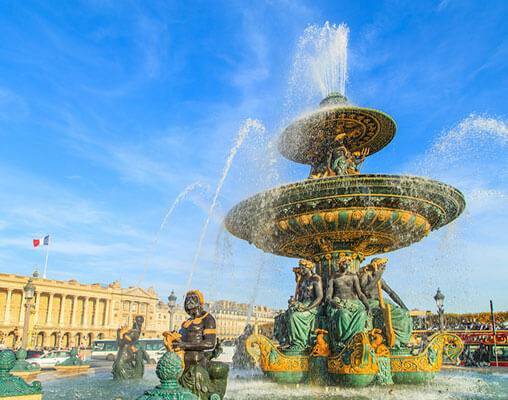 Today's half-day sightseeing tour showcases the city's must-see landmarks including the Place de la Concorde, the most impressive square in Paris complete with an Egyptian obelisk, fountains, and statues; Place Vendome, with its column dedicated to Napolean; Faubourg St. Honore street, home to the most fashionable boutiques in Paris; the Champs Elysees and Arc de Triomphe; the Eiffel Tower; the Louvre Museum with its glass pyramid; Notre Dame; Luxembourg Gardens; and more! Next, travel to Les Bateaux Mouches and board one of the boats for a Seine cruise, offering a different viewpoint of some of the city's attractions as well as the history behind Paris's 38 bridges including its oldest, Le Pont Neuf. Overnight Lodge du Centre or similar. Transfer to the rail station this morning and board the high-speed Thalys train for the journey to Amsterdam. Upon arrival, transfer to your hotel with the remainder of the day at leisure. Overnight Memphis Hotel or similar. Set off on a hop-on/hop-off sightseeing tour of the city. Step on and off as much as you like at any of the stops along the route. This is the best way to see Amsterdam's top sights and attractions including the Royal Palace, Anne Frank House, Rijksmuseum, the Singel Flower Market, Dam Square and more! Overnight Memphis Hotel or similar. Explore Amsterdam at your own pace using your Canal Bus Day Pass. 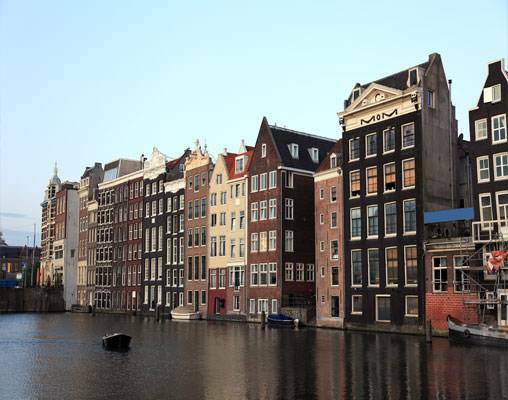 Travel along the canals of Amsterdam to any of the 20 stops along four different routes, visiting major museums, attractions, and shopping centers. Overnight Memphis Hotel or similar. Your vacation comes to an end this morning. Enter your details below if you would like to be notified when 2020 dates and prices are available for Best of Western Europe: London, Paris, Amsterdam. Tour prices are land only, per person based on dobule occupancy. Single pricing is available upon request. Prices are correct at the time of publishing; however are subject to change. Rail pricing is subject to change until paid in full and ticketed. Seat assignments are not guaranteed and subject to change.